"People will always be a lively place to go," Take Kaohsiung, the merchants, department stores, specialty focus, so many people here became Select holiday shopping, but if you are a bit lively shopping and shopping a point, then you can also go toward intellectual understanding of the romantic side of Kaohsiung, like love, love the pier, glorious marina, the beautiful island of Urban Spotlight or MRT station ...... and so on, most of these people know the place , are also representative of Kaohsiung tourism destination Oh. [Kaohsiung 85 Building themed suites plus Fei]Non-Chung (media) type lease referral center, with its own theme of room design, create atmosphere, price transparency, safe, reliable, affordable, reliable accommodation choice for your 85 building. The industry's first themed suites has a restaurant "Kaohsiung 85 Building suite plus Fei theme" using B & B style, automobile Business Class bed and bath products group, at a lower price to you a higher quality of service. Space is extremely comfortable "Kaohsiung 85 Building, Suite plus Fei theme" the texture to give your vacation, through the spacious master pattern plus unique sense of design visual display, creating a neat look relaxed space, in addition to giving the visual favorability, even in environmental performance out of cleanliness is second to none; "Kaohsiung 85 building plus Fei theme suites" carefully and diligently, but they are here to make you feel personally unique style full of warmth and space environment, feel at home while living life with freshness. Kaohsiung 85 Building as the center, the industry's only theme suites combine restaurant "Kaohsiung 85 Building plus Fei Theme Suite" offers a sea view, street view and atrium room types, see that you are looking forward to high-angle landscape vision, or prefer vehicles with people's lively scene, even if you are simply the pursuit of tranquility, "Kaohsiung plus Fei theme suites" will also depend on your needs, give the most appropriate satisfying leisure environment. "Kaohsiung 85 Building, Suite plus Fei theme" is the only building 85 houses a restaurant offers guests a rich breakfast themed suites, not only to make your stay comfortable, some of the food is also very convenient to give assistance. 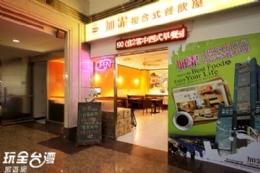 [Kaohsiung 85 Building, Suite plus Fei theme]All room types are located within (and Splendor same buildings) Building 85, Room photos all real locations, not synthetic and landscaping, will not let your expectations get hurt, "added Fei composite catering house" offer "Kaohsiung plus Fei theme Suites (85 building) "passenger free luggage deposit service, parcel service refrigerated or frozen, wrapped collection service, you are welcome to take advantage of. [Kaohsiung 85 Building, Suite plus Fei theme]Customer, Fubon insured 24 million public liability insurance for every visitor, allowing you to suppliers, providing an extra layer of protection brigade. You and your dirty clothes also with travel? 13th floor of the Tower Building, 85 features self washing, drying equipment, you are welcome to make use of. State Road 3 → on Oakland Interchange → Rende System Interchange → National Highway No. 1 → pick Interchange → Zhongzheng Road → self more than three three-way → → Kaohsiung, Kaohsiung 85 Building, plus Fei theme suites (85 Building). High Speed ​​Rail: Take the High Speed ​​Rail to Zuoying Station, then take three multi-district Kaohsiung MRT Red Line station (R8). MRT: From "After more than three district stations" One exit out of that building to the left hand side of the highest (or 85 buildings) away, about 5 to 10 minutes, "added Fei Kaohsiung themed suites (85 Building ). "